The further I go from Yuma, Arizona the more I appreciate what I have gained from growing up in the desert. You gain some value in temperature perspective. I don’t remember the 115 degrees in the summer time as a kid, and my memory seems to not recall burning my bare toes on the sidewalk in the summer. I do remember being outside every day, all summer. Contrary to popular belief there are lots of things for the adventurous kid to do in the desert. The heat doesn’t effect the locals in town very much, most of the buildings are fully air conditioned. As a kid, I enjoyed playing in the wide, friendly, quiet neighborhood streets and venturing over to Circle K’s that had great slushies in the summer. Families on my Yuma neighborhood always donated to my lemonade stand, or magic show, or whatever endeavor I was getting into as a child on 9th Avenue. Yuma boasts the title of the hottest (lived in) city in the United States, the summer months will bake your skin if you are brave enough to roll your window down while driving. Your arm hair will singe in the 115-degree heat with 65 mph winds burning brushing over your skin. Sometimes Yuman’s eyeballs feel like they are on fire, and indeed the city is not for everybody in 4-5 100+ degree summer months. Instead of camping and backpacking trips, the local youth go to the Sand Dunes to play. Located just within Yuma’s backyard, the Yuma desert playground can be found after the not long after the turn to Los Algodones (our local port to Mexico) and the Border Patrol check station. There you will find Glamis (California). It is a 40 mile stretch of sand dunes where lifted and high priced vehicles from all over the United States and beyond bring their off-road toys. It is also where parts of Star Wars was filmed. There, vehicles ranging from beefed up dune-buggies, to sand rails, to pre-runners, golf carts and home- made creations with corvette engines race across the desert in speeds that might only otherwise be found in Saudi Arabia racing across the dunes. These events sizzle off in the summer months and Glamis returns to looking like its thirsty desert self. After the cleaning crews scour the area and the desert replenishes itself over the summer, it turns again into a full blown small city at 1.2 million visits annually for the fall. Then another strange phenomenon occurs. Every Fall, beginning around October, the population nearly doubles. 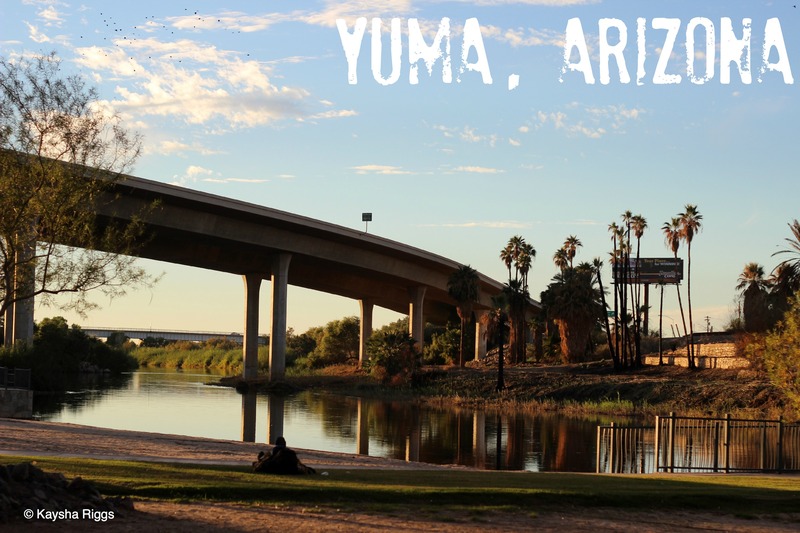 Some 85,000 retirees, Grandmas and Grandpas make Yuma their home for the wonderful winter months. As of 2010, Yuma’s resident population was 94,064. It doubles just as most college towns double in size as soon as the semester starts again and students come pouring back into the dorms. Yuma’s winter visitors pile back into their sunny mobile home parks to enjoy the weather and our endless sunshine. These guests are largely responsible for Yuma’s economy and kindly coined “Winter Visitors.” These eager winter residents make use of the 60-75 degree weather that remains once the last 115 days dissipate back into the desert floor to make way for “fall” in the desert. Many people curse at their blasé slow driving and overwhelming presence at the border of Mexico where they go to buy cheap medication and experience a bit of the spicy border life. If you want the more thorough and hands-on history of Yuma, the Quarter Master Depo or “Yuma Crossing” (not to be confused with the restaurant) is a great educational trip and a great time for kids. It still remains one of my absolute favorite parts of the city. 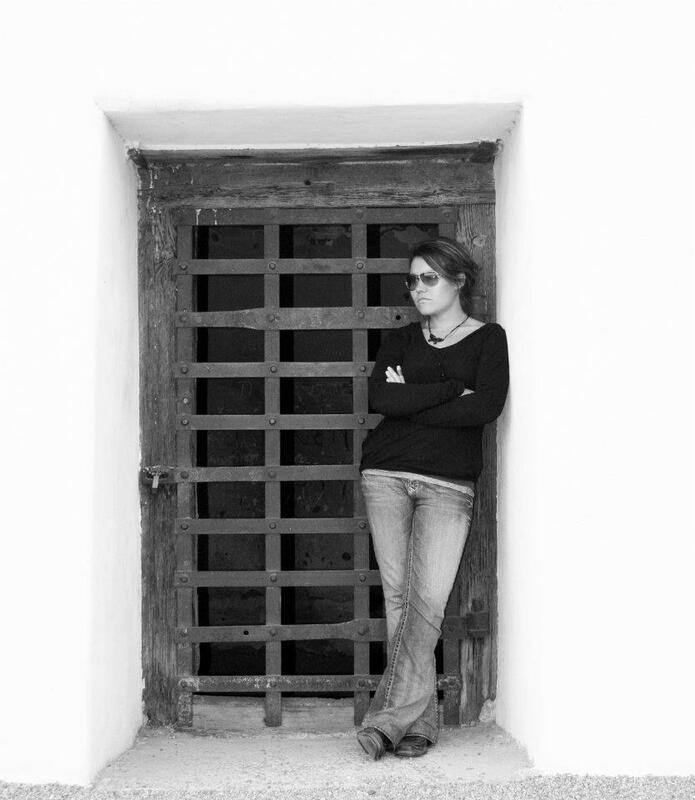 When I have visitors, I always take them on an afternoon or early outing to the Yuma Territorial Prison, an authentic piece of Yuma history made more famous by the recent 3:10 to Yuma film. The prison is open from 9-5 and closed in the summer months from June 1 – September 30; the hottest part of the year. The stone and metal construction of the prison now hovers over the revamped Ocean-to-Ocean bridge. Thanks to Yuma’s Chain Gang organizers who raised enough money to have the prison restored and brought back to life when it was facing closure; the prison, as one of the last living reminders of Yuma’s history in the Old West still stands today. The prison opened its gates to the first inmate on July 1, 1876. By this time the US had just received parts of Arizona and New Mexico through the Gadsden Purchase and Calamity Jane (1852) and Billy the Kid (1859), among others were just learning the ropes of the Wild West. Levi Strauss had just begun his first sales of clothing and goods to Gold Rush miners in San Francisco (1852) and the Pony Express had finally made its way all the way to Sacramento California (1860), so began the rise of Fort Yuma. 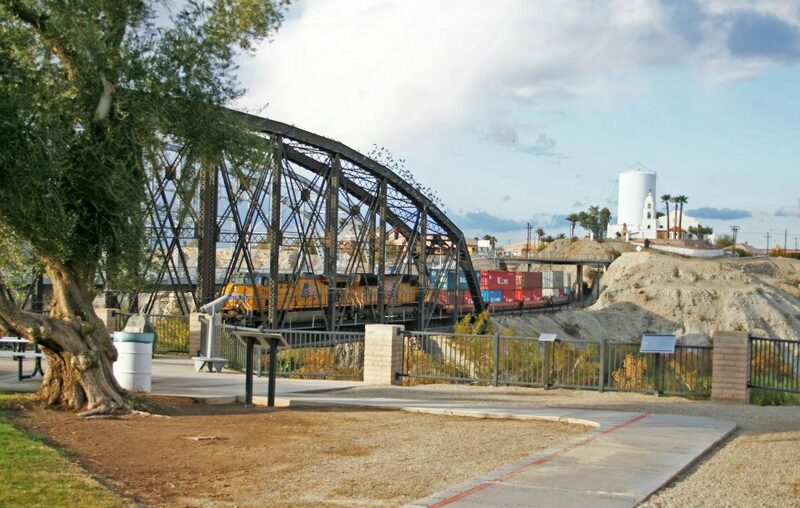 Yuma was established in 1850 to secure the Colorado River’s most prominent southwestern crossing from the local Indians, as it was one of the lowest possible places to cross the Colorado River. The same Colorado River that starts as snow run-off in the great Rocky Mountains trickles its way through the Grand Canyon and makes its to Yuma and beyond. Arizona was officially organized as a territory by 1863, and would serve as the “Gateway to Southern California” during the Gold Rush and for anyone wanting to cross the great Colorado River for many years. In the 1800’s Castle Dome City, about 45 minutes north of Yuma on Highway 95, was the big, booming town near the Colorado River. 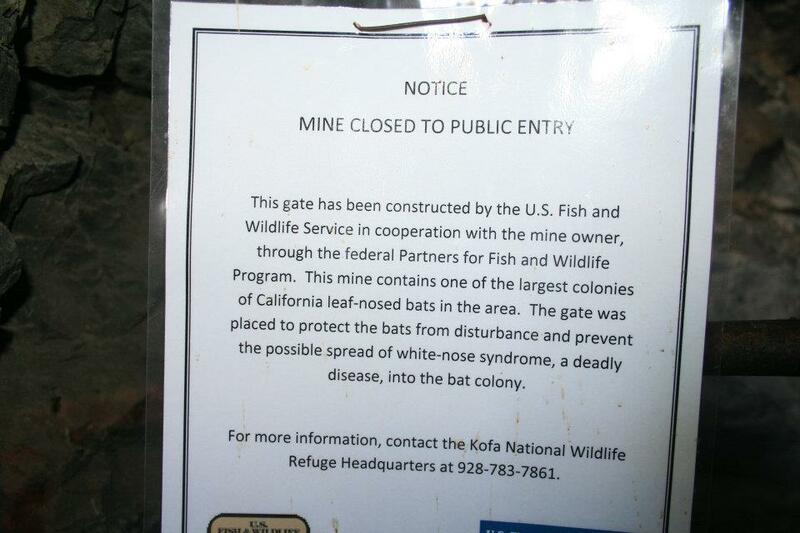 Today, all that remains of it and the many still standing mines of the Kofa National Wildlife Refuge is the well-preserved Castle Dome Mines Museum. The 20 some building re-creation of the Old West serve as a reminder of the gunfights and culture that once was the Old West. Even a pair of Levi Strauss’ jeans which the museum claims to be “the first pair,” is held within the hallowed wooden walls. You will get your boots dirty not only on the 10-minute dirt road drive from Highway 95 to the museum, but walking around the museum itself. And as far out in the middle of nowhere as it is, the Hills Have Eyes reminiscent little setting and backdrop will let you think you just might be back in the 1800’s before the town of Yuma existed. 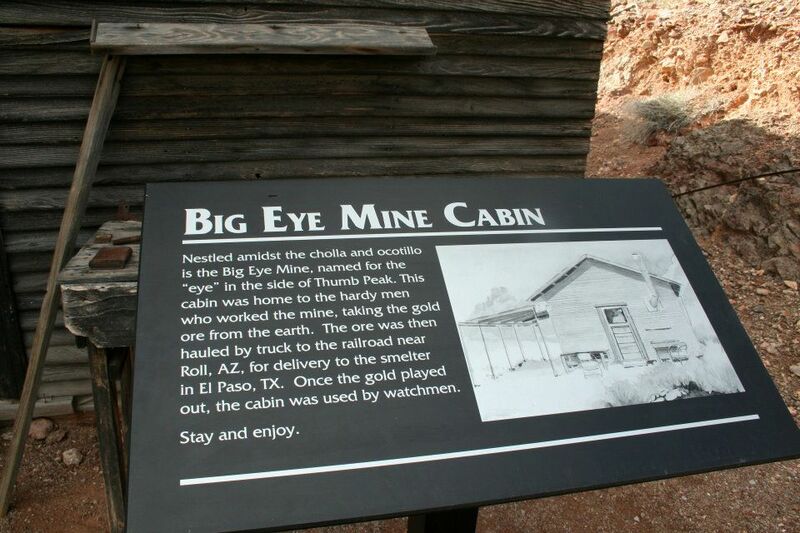 For the adventurous visitor, on the same trip out to the Castle Dome Mine Museum (closed throughout most of the summer), there is a trail to some real old west adventure. 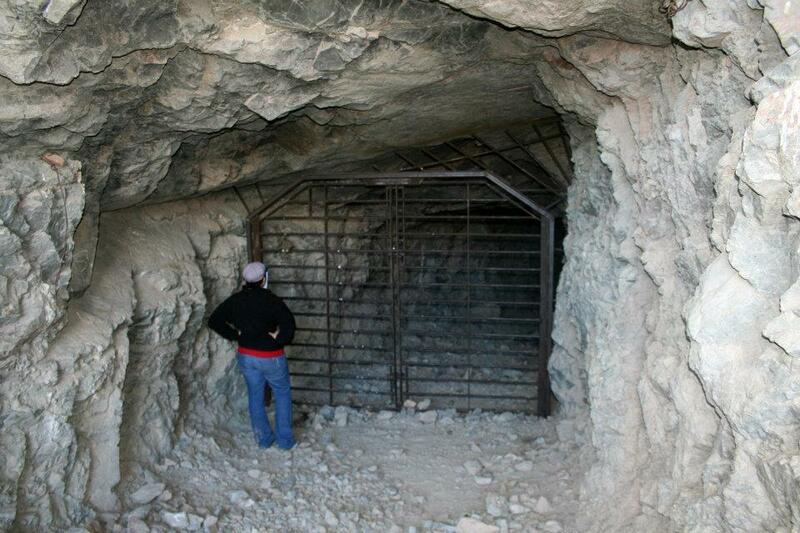 If you have a 4×4 vehicle (and preferably no larger than a Jeep Cherokee or Toyota T100 ) you can venture out to the refuge’s mines. 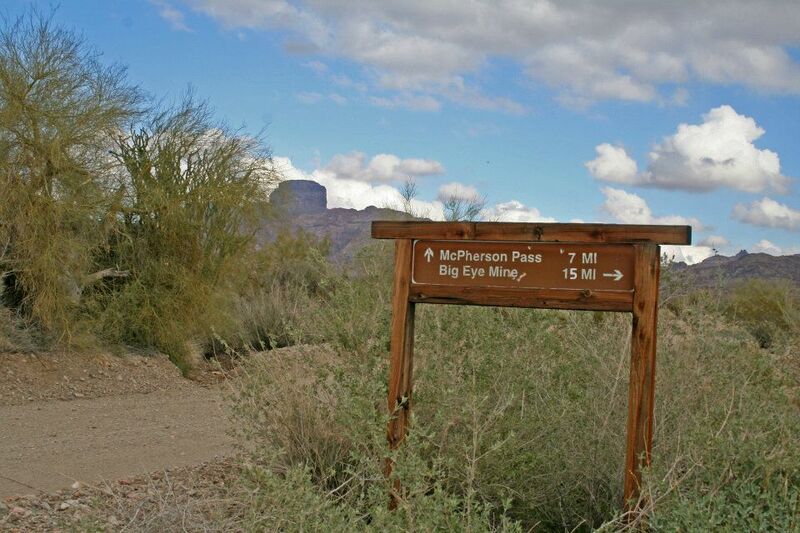 Just off of the main dirt road that leads to the museum there are various marked turns for further adventures, ranging anywhere from 7 miles to 15 miles into the Kofa Wildlife Area. Regardless of what time of year it is, bring plenty of water. There is not constant cell reception. Your best luck for even the most capable cell service providers is on top of the hills. 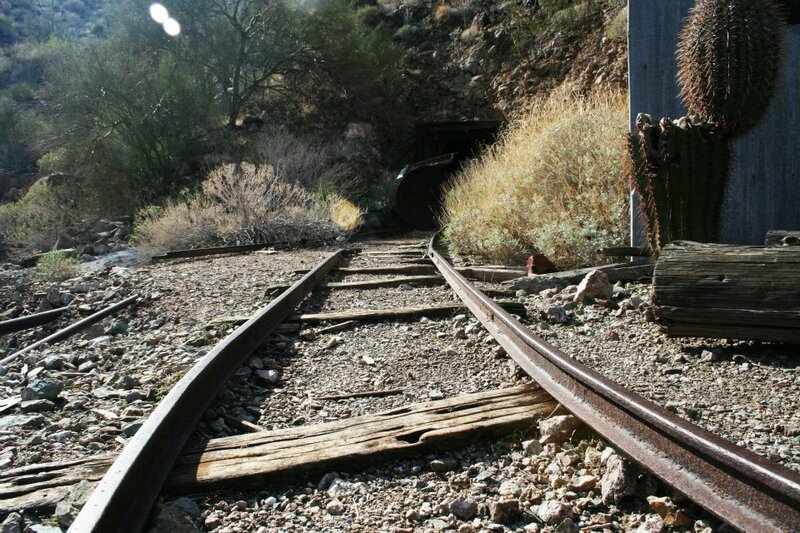 There are many, many mines scattered about the desert from the Gold Rush days and many of them have since become off-limits to public for safety concerns. Because there are so many, I find that a lot of them are un-regulated and you are absolutely entering at your own risk. Be mindful of where you step, be aware that there are large drop offs inside the mines, the wood could always break, the small round yellow cactus balls will jump on you, and always have a flashlight (enough batteries), and again, don’t forget your water. The deepest mine i’ve yet come across is a steep decline into the depths of the desert floor. I returned many times throughout my youth and found it recently to be closed. Since Yuma had a surge in population after 1900 and took over as the prominent city between Phoenix and San Diego over the years, the city of Castle Dome was left to decay and crumble in the desert. 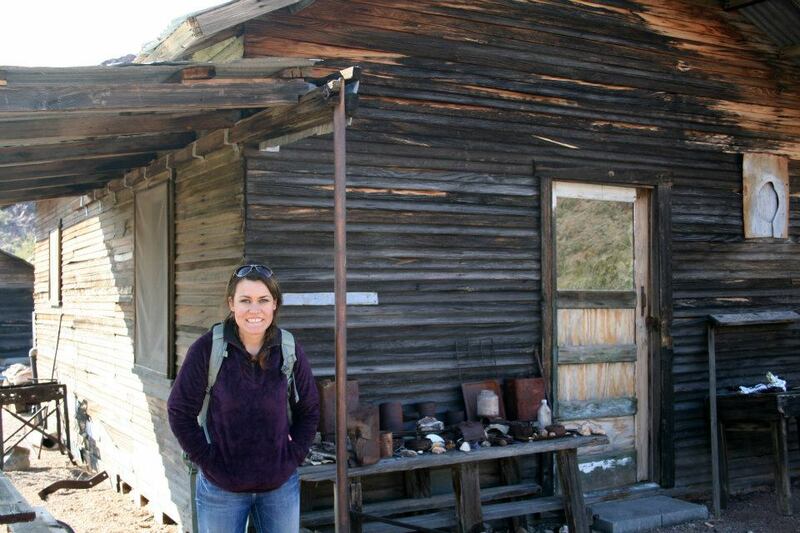 It is now nothing more than a ghost town and the aforementioned museum. Yuma is usually a relaxed and sleepy town, and cruising through neighborhoods at around 2pm during the summer it’s easy to forget that people do actually live there. If you plan to visit, and of course I recommend you do, don’t miss out the staple, local Mexican food from Mr. G’s and Chili Pepper, as well as the restaurant style El Charro. 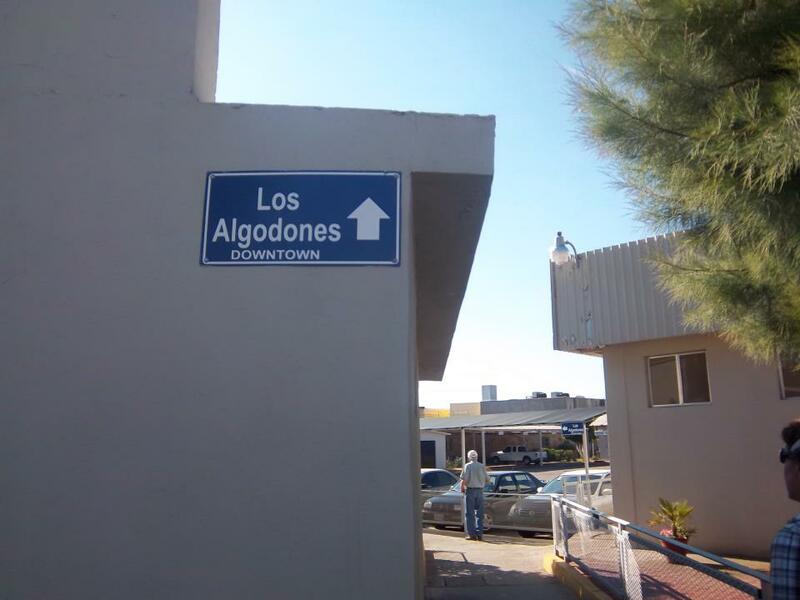 These were the Mexican food restaurants of my childhood and the ones I most miss when I am away. Also, try the salsa and chips at Mi Rancho on 4th Avenue, and pick up tortillas and chips to go from Food City. If you really want spoil yourself, enjoy a delectable meal on the terrace in the wonderful fall or winter months at the Garden Cafe, or get gussied up and head to Julieanna’s Patio Cafe where you might find yourself dining with a peacock or parrot! You also can’t go wrong with one of the the old town local businesses like Yuma’s Pint House brewery or the iconic Lutes Casino. Lute’s Casino is my personal favorite for milk shakes in town ( the new Pecan Praline is to die for), and it is still located in its original 1901 Old Yuma location on Main Street. It’s home to some of the best signed memorabilia in Yuma and apparently holds the title of Arizona’s oldest pool hall. Lutes served as quite the place to be when Main Street was the main street in Yuma. Today, although its location is a bit more on the quiet side, its tagline, “where the elite meet” is sure to tell you which sorts of Yuma locals make their way to the casual diner these days. Today the Lutes clientele is a far cry from the gamblers it once entertained but the insides haven’t changed much. Just down the street is the local Main Squeeze wine house and the Pint House who celebrate the town’s more modern and cultivated tastes. As I’ve grown older and return to Yuma each time for a visit, it becomes more and more apparent to me what exactly makes Yuma so unique. The people there make the small desert town their own and don’t hesitate to band together when a fellow Yuman is in need. Yumans are more tan than the general population, and they embrace the desert and what separates it from the rest of the world; whether willingly or not. Residents are perhaps happier because of the amount of sunlight they recieve; the desert will go months on end without a cloudy day. I didn’t realize until moving out of Yuma, that not everyone has huge lifted trucks or pre-runner set-ups on their vehicles, not everyone puts antlers on their cars in the winter, and not everyone has a personalized license plate. The Yuma lifted truck phenomenon often also includes plastic, male genitalia dangling from the hitch and they aren’t shy about sporting bumper stickers such as, “the higher my truck is, the closer I am to God” equipped with the necessary things to either tow the toy-haulers to the desert, or to off-road in the desert. It’s not always easy to live in a small desert town, but that is just one more reason to visit to unique little border town Yuman’s call home. The 15 mile off-roading excursion leads you to a stopping point where you have to hike up a portion by foot, and you arrive at the cabin. “City of Yuma”. Greater Yuma Economic Development Corporation. Retrieved 2007-06-23. C. G Ekstrom, “Yuma and Teh Colorado River,” Journal (American Water Works Association) 39, no. 3 (March 1947): 245–252. Helen B. Walters, “Confederates in Southern California,” The Historical Society of Southern California Quarterly 35, no. 1 (March 1953): 41–54, doi:10.2307/41168387.